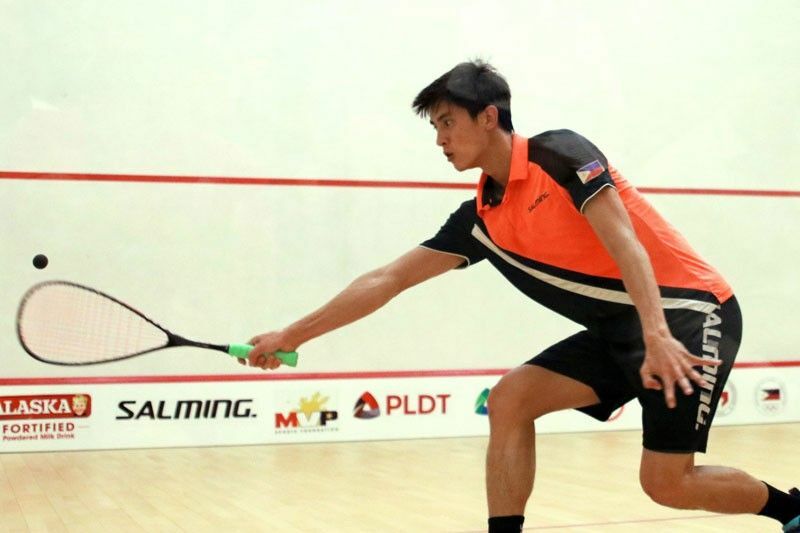 MANILA, Philippines — Reymark Begornia capped his improbable run in the fifth Southeast Asian Cup Squash Championships last Wednesday night with a stirring 8-11, 11-8, 11-5, 9-11, 11-9 win over Singapore’s Benedict Chan in the men’s singles finale at the Kerry Sports courts inside the Shangri-la Hotel in Taguig City. It was the first major international title for the lanky 5-foot-11 Filipino bet, who completed a four-match sweep of his stint that gave the hosts their first mint in the six-nation competition backed by the Philippine Sports Commission, Philippine Olympic Committee and MVP Sports Foundation. Malaysia’s Noor Ainaa Amanti Binti Amani Binti Ampandi came back from a first-set deficit to down Singapore’s Sneha Sivakumar, 6-11, 11-7, 11-9, 11-6, in clinching the women’s gold medal. “I just kept my patience, especially in the fifth set. Medyo magulang po ang kalaban pero pagod na rin siya,” said Begornia. Bachmann bared that the athlete would receive a “significant” bonus for his effort.